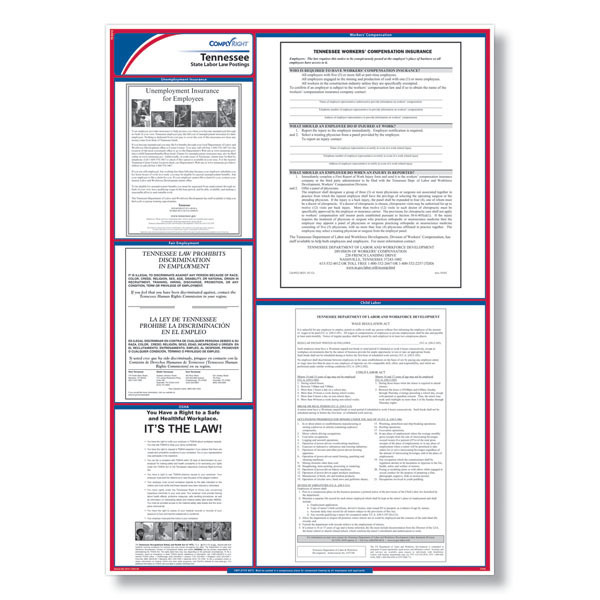 Post Tennessee's required labor law posters with the all-in-one compliance poster solution. 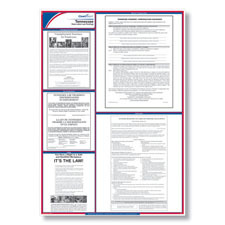 The state labor law poster includes every mandatory posting your business needs. Our posters are the only ones to maintain the exact size, type fonts and layout of the official postings released by government agencies. Now you can focus on what matters to your business. The Tennessee Workers' Compensation poster has been updated to clarify how employees obtain information on the employer's panel of physicians. The Tennessee Workers’ Compensation poster has been updated to reflect that all construction employers must carry workers’ compensation unless they are specifically exempted. The Tennessee Unemployment Insurance poster was updated to reflect a new phone to contact if employees want to place an unemployment insurance claim over the telephone.